Happy Friday ! It's Nicole here from Nick and Nicole plus 4 and I'm very excited to introduce to you Becky from byBMG! Other than blogging, what do you do for a living (profession)? Do you have any children? What parenting advice would you give to a someone having a new baby? We have three boys - Henry is six, Wesley is three, and Calvin is one. My advice to someone having a new baby is to just cherish the time. It's difficult. It's tiring. It's lonely. It goes too quickly though, and sooner than you know it, they'll be starting Kindergarten. Are you married? What marriage advice would you give to a couple getting married? My husband Russ and I have been married for ten years. My advice would be don't rush in to having kids. We waited four years before having kids, and I am glad we did. We got to know each other and were on a solid foundation before kids came along. Also, take time for each other. We aren't the best at that, but we are trying to do dates more often and we just got back from a week in Mexico which was wonderful! I started blogging to share my DIYs. I was on a different platform but it closed down, so I started up a blogger blog. 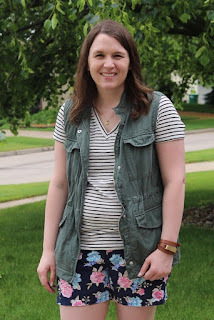 I found The Pleated Poppy's What I Wore Wednesday link up, and I started sharing my clothes each week. It's evolved so much over the past three years. Which fashion trend do you currently love? 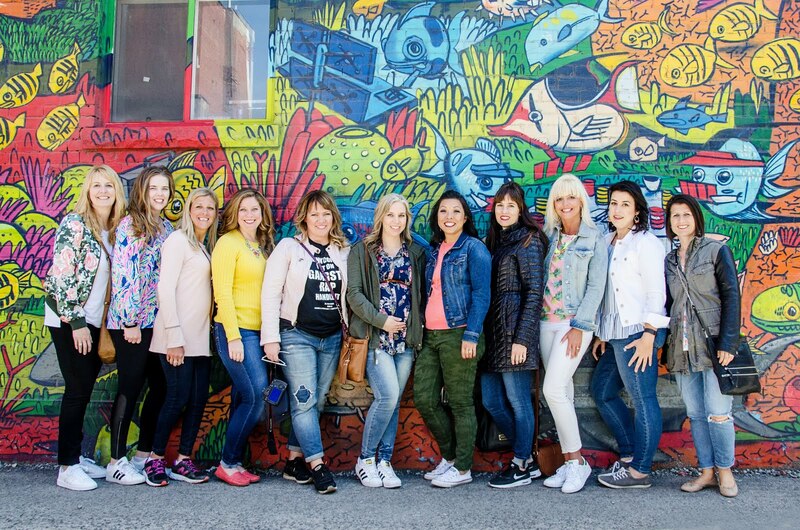 I love so much of what's in right now - distressed denim - utility vests/jackets - peplum tops. I just finished Paper Towns by John Green. I really like his books, so if you've read any I would recommend it. I'm currently reading (and toward the end of) The Luckiest Girl Alive by Jessica Knoll, and it's taken some great twists and turns. I'd recommend it for sure.